We start baking bread at 3am every morning, the majority of it having been 'retarded' overnight in our retarder proovers in dough form. This means we can bake the bread later, it increases the flavour of the dough, and is quite often still warm when loaded onto our vans. A selection from our vast range appears below. A bread made with wholemeal flour ground at Winchester City Mill, run by The National Trust. We add white flour to create the perfect blend of texture, flavour and keeping qualities. We collect the flour from the mill ourselves whilst delivering to Winchester to reduce the food miles. In the shape of bloomers, sandwich, split tin, farmhouse and cottage, all of which can be sliced. 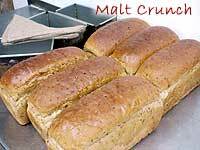 This is a very popular malted brown bread similar in taste to Granary®. The pieces of malted wheat grain are full of flavour, and makes a great sandwich carrier. Rustic spelt bread with oilseeds, coarsely ground lupin seeds and honey, maybe worth trying this if you have an intolerance to modern strains of wheat, although this product does contain gluten. Bread is a delicious combination of pumpkin, linseed and sunflower seeds, combined with wheat bran and oat flakes to give a tasty, darker style bread with extra bite and a coarse, open texture. 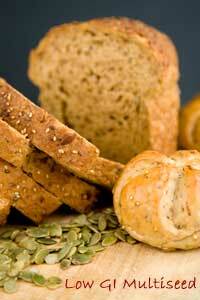 Every 100g of bread is made up of 46.4g of carbohydrate, of which sugar is just 2.9g and has a salt level of 0.7g. 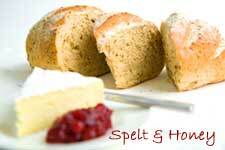 Low Gi Multiseed Bread is ideal for dieters, healthy eaters, vegetarians and type 2 diabetics who follow a low Gi diet and those who simply enjoy eating delicious bread. 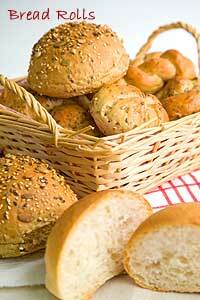 We produce about 20 varieties of rolls, including burger baps, torpedos, ciabatta, crusty and finger rolls. Our ovens can bake 5400 burger baps an hour, and we supply events caterers on a regular basis. Our rolls are packed within 2 hours of baking ensuring excellent keeping qualities for caterers requiring several days life on rolls and sandwich carriers. "Customers in the pub are always asking where they can get hold of the delicious, soft bread we use for our sandwiches". "Best bakery for miles and great service"
"Marwell Wildlife have used The Oven Door Bakery for over 5 years, and in that time have supplied us with a great range of bread and cakes and a first class service". © Copyright 2012-2018: Smiths Bakers Ltd. All Rights Reserved. 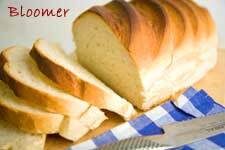 Hampshire's premier wholesale bread bakery. The Oven Door Bakery supplies bread to retailers and caterers throughout Hampshire.